Bridgewater Terrace is an exciting well-appointed and spacious apartment complex right in the heart of Bridgewater. 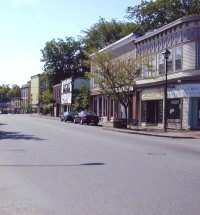 "The Main Street of the South Shore," located within minutes' walking distance of the main shopping outlets and restaurants and only a few minutes' drive from Exit 12 off the 103 highway. Live in an exciting well-appointed and spacious apartment complex, in the heart of Bridgewater... Come home to Bridgewater Terrace. And a Floorplan of one of our apartments!